Join us on Fathers Day Sunday 16th June and treat your Superhero Dads to the best day out in Devon! Tickets must be purchased online and in advance. To purchase a Dads go FREE ticket it must be accompanied by a paying child’s ticket. Purchase Dads free entry ticket through the Father’s Day Event tickets only. Do not purchase via Park Day Entry, this will not be valid. Please note: a full paying child’s ticket must be pre-booked online in order for the Dad to come into the park for free. For a child over 110 cm please purchase a 1 Person over 110 cm ticket, for a child between 92-110 cm please purchase an Adventurer ticket. This offer is not available on the day at the entrance kiosk. Tickets must be purchased before the day. 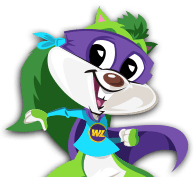 – Tickets bought through the Park Day Entry category are not eligible for the Dads go Free ticket. – Dads go Free tickets MUST be purchased through the Father’s Day event category. To change the date on your ticket: This needs to be done 24 hours before your visit and a £5 charge applies. You will need to call Woodlands Reception Team on 01803 712598 who will be able to change your ticket for a fee of £5 per booking number. 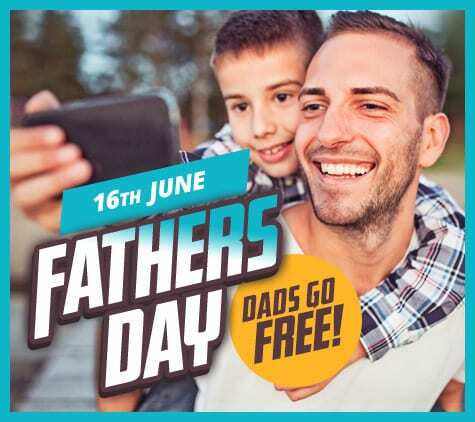 Dads free entry is only valid on 16th June 2019. In the event of a date change, a ticket will also have to be purchased for the Dad to enter the park.